Binny's Hacks for Your Fridge Cleanout! 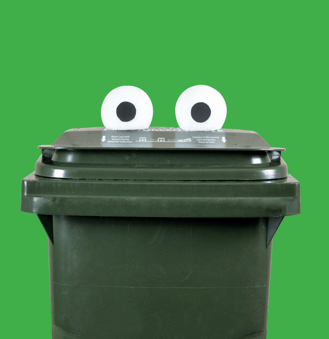 Binny, the official mascot of Livermore Recycles, loves it when you compost and recycle! Here are Binny's current favorites. 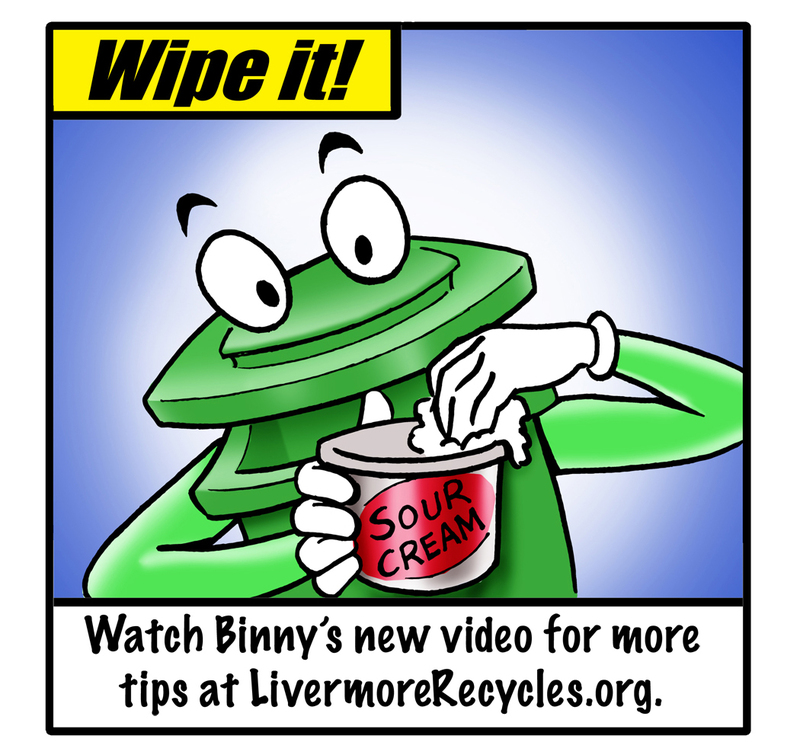 You can view all Livermore Recycles videos on our YouTube channel. 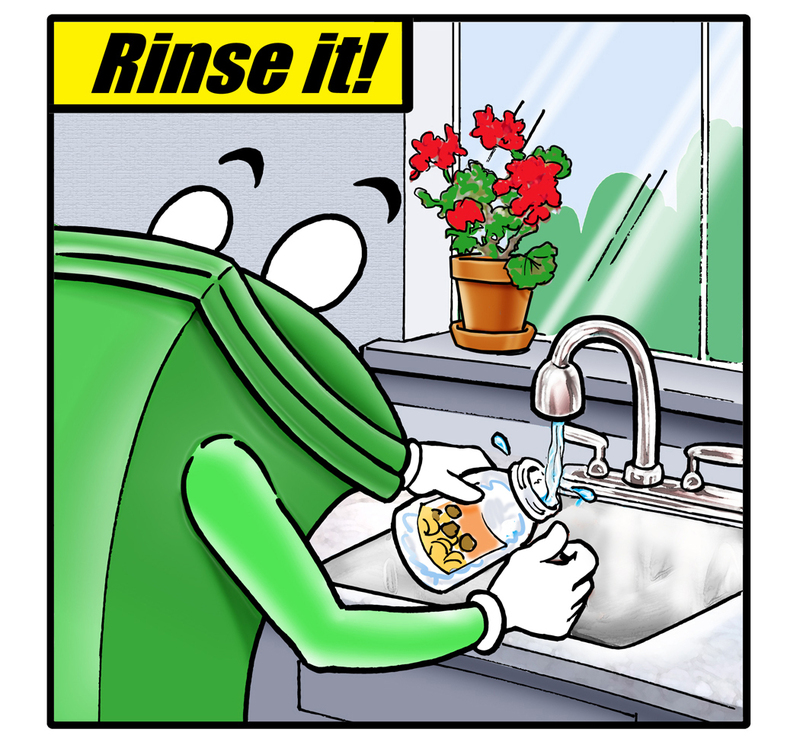 Binny the Green Organics Cart gives tips on when to toss, wipe and rinse. See what happens when Binny comes over for pizza! 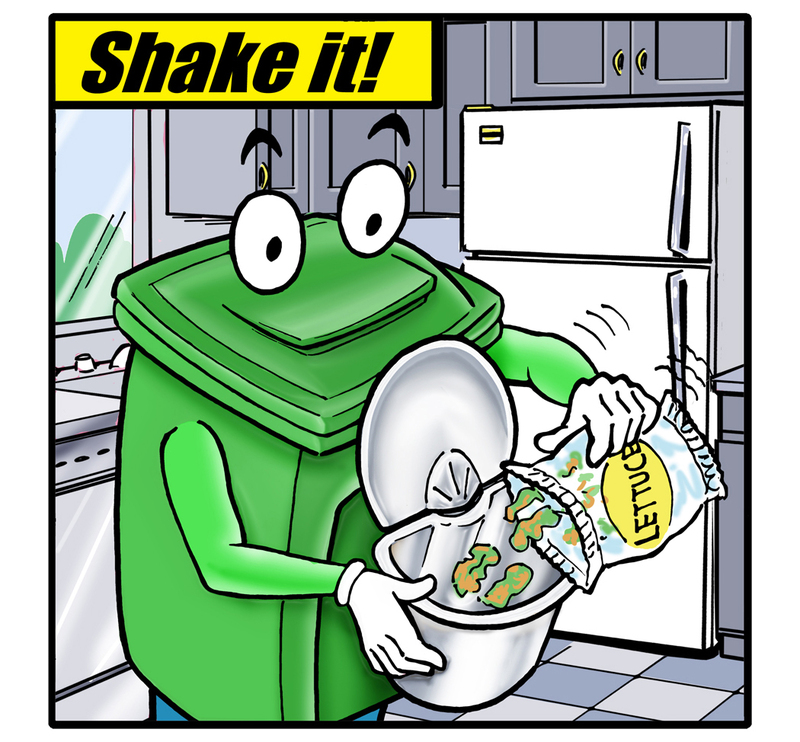 Learn how to sort fast food packaging, fast! 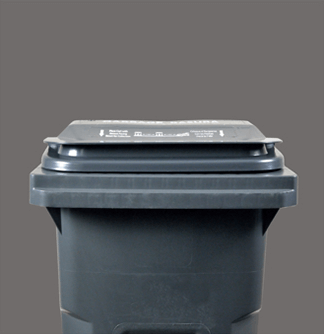 Binny the Green cart and guests discuss best ways that Livermore residents can compost food waste and food soiled paper. Loretta Livermore, resident Judy Bugas and Binny show us how easy it is to compost food scraps. 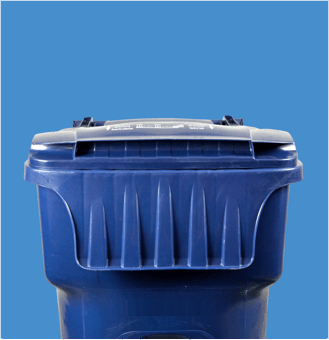 See a quick run-down of what goes in your Recycling Cart.